Cancun has so much to offer. Whether you're there for the beaches, the food, the nightlife, the surroundings, the diving or just for relaxing, there's something for everyone. 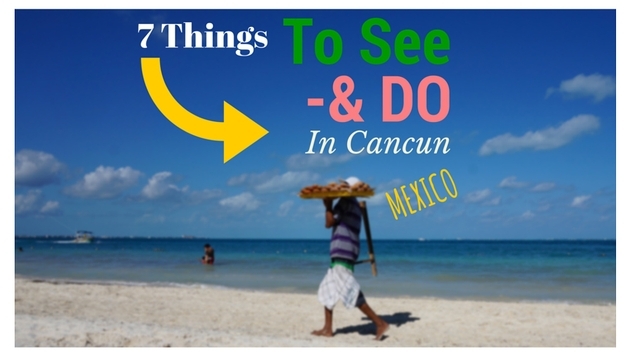 Before coming to Cancun, we weren't too sure what to expect. Being from North America, we associate this paradise city with all-night (and anything goes) spring break parties. However, we found plenty to see and do that didn't involve drinking all night long. On nearly every street corner, there will be an agency offering up tours and activities around Cancun. Shop around and look for the best prices. 1. Scuba Diving: The coral reefs in the Caribbean are said to be some of the best in the world. In Cancun, you can book your scuba diving package with almost any of the resorts or dive centers in town. Typically, the dive will include transportation to and from your hotel with diving around Cancun and the island of Cozumel. One really interesting underwater sight is the 400 or so underwater sculptures, which were sunk in 2009. 2. Jet Skiing: As with most developed beach towns, jet ski rentals are found everywhere in Cancun and offer a fun way to explore the coast line. Make sure to look over the jet ski and take pictures of it; you don't want the company claiming that you scratched or dented the jet ski and charging you for it when you get back to land. 3. Visit the Local Market: The local mercado is such a great place to go and wander around for a few hours. This large, open-air place sells everything from fresh fish to piñatas to souvenirs. There's a fruit and veggie market and a tortilleria turning out fresh tortilla shells in seconds. Even if you're not interested in buying anything, make sure you have lunch here. The food is delicious and the prices are good. 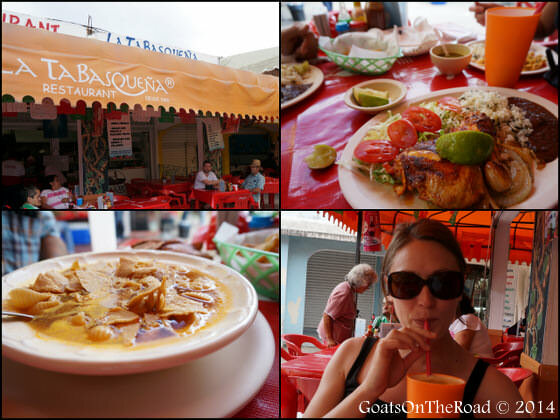 Check out the La Tabasquena Restaurant! The food there is great. 4. Booze Cruise: During the day, you'll see lots of advertising along the beach. One of the main things being promoted is a pirate ship that cruises up and down the beach with the words "Captain Hook" written across the side. Although this may not be an authentic Mexican experience, it's a fun way to spend the day. 5. Visit the Parque Las Palapas: This park is set basically in the middle of the centre of Cancun and comes to life at night. Here you'll find lots of local people enjoying the evening filled with live music, carnival type foods (churros, crepes, corn and other snacks) as well as many stalls serving up Mexican cuisine. There are also many tables and chairs for sitting down to enjoy the music and your meal. 6. 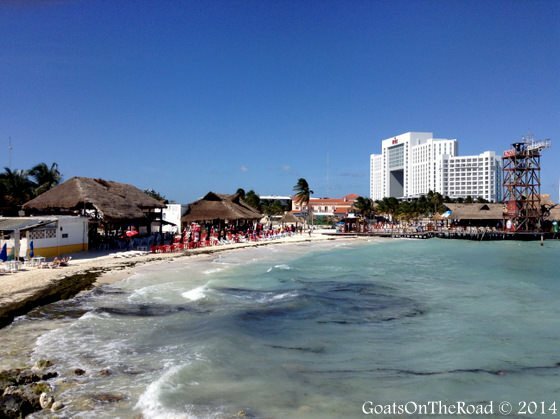 Go to the Beach: Technically, all of the beaches in Cancun are public, however, many of the beaches here are considered "private" and the resorts that line the beach may not allow you to cut through their property to reach the sandy stretches. If you're staying in a resort, you'll have no issue with this. 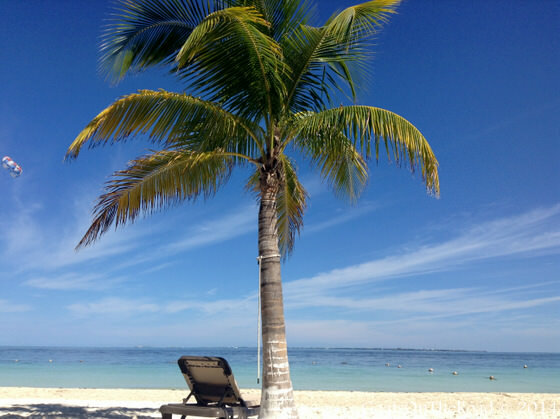 But if you're travelling to Cancun independently, there are a few public beaches that everyone can enjoy. Check out the sandy swimming spot next to the Casa Maya Resort. 7. Xel-Ha: This is such an interesting place. Here, saltwater mingles with fresh water and because of this, you get some amazing species of fish found nowhere else. You float down a jungle lined river on an inner tube, while popping your head in the water with snorkel gear from time to time to look at the different colorful fish. Apart from snorkelling and tubing, you can cliff jump and rope walk across the water, snuba dive with sting rays and swim with dolphins. Many people visit Cancun and hang around the resort area, but we highly suggest hopping on one of the frequent local buses and heading into the downtown area of Cancun. It's safe, the people are friendly and there are many things to see and do. Plus, there are loads of restaurants to choose from, all of which are very affordable. Have you ever been to Cancun? Anything you would add to this list? Share with us below!